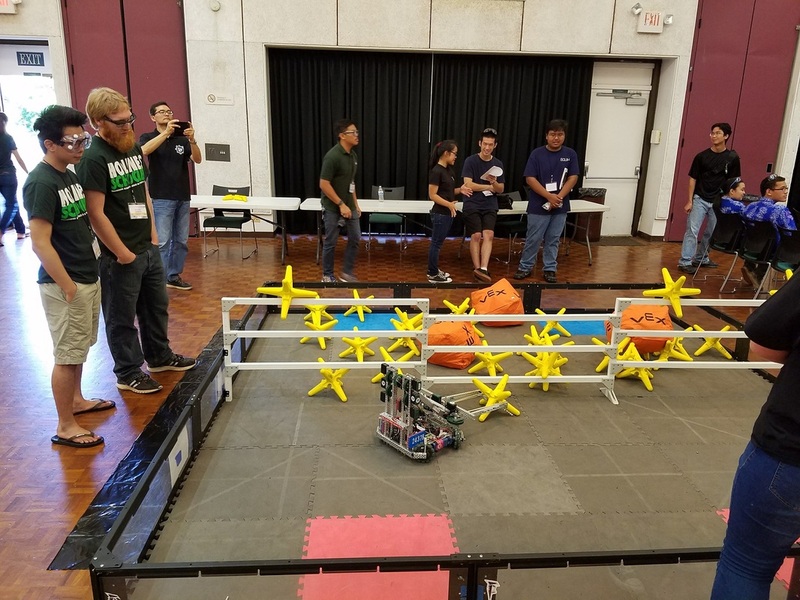 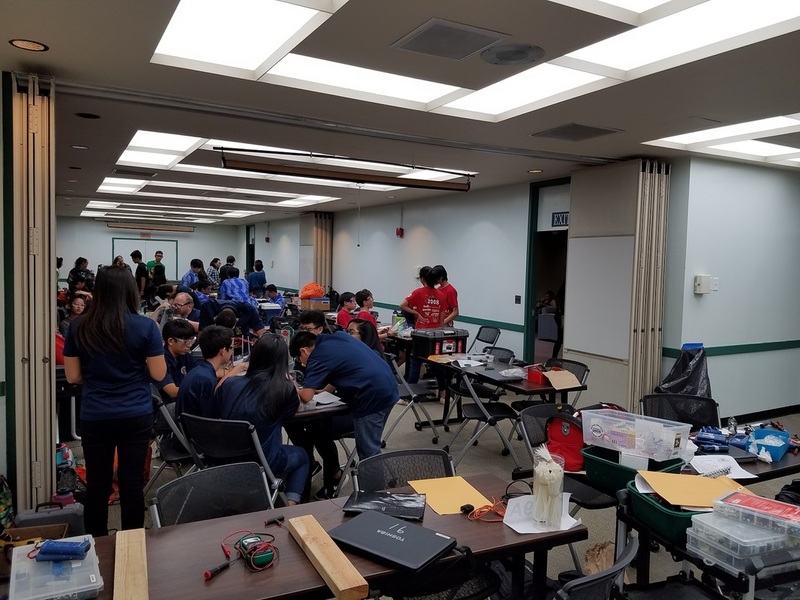 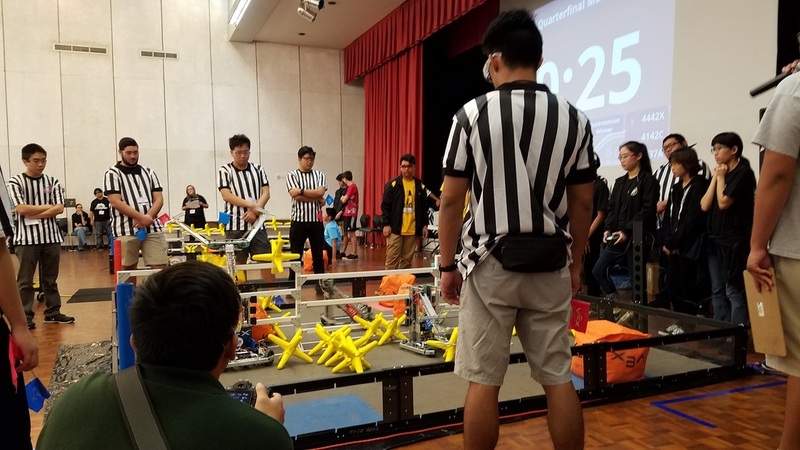 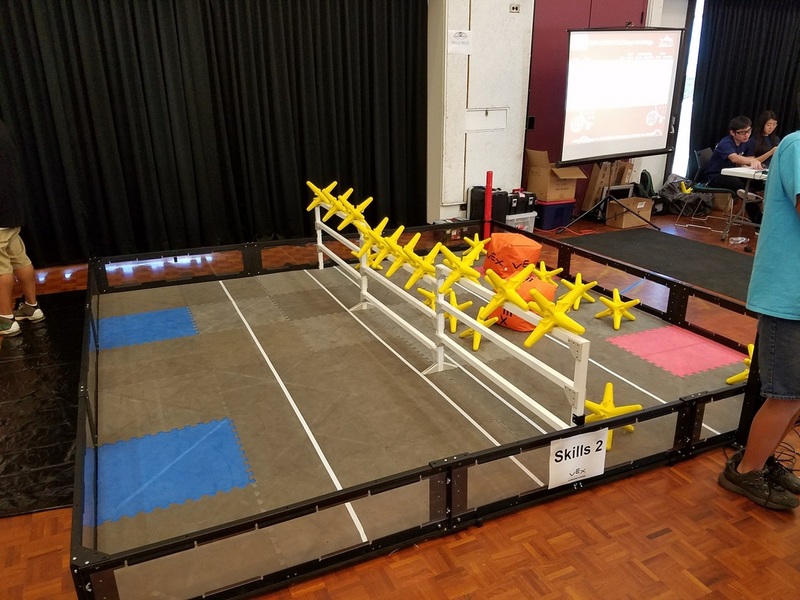 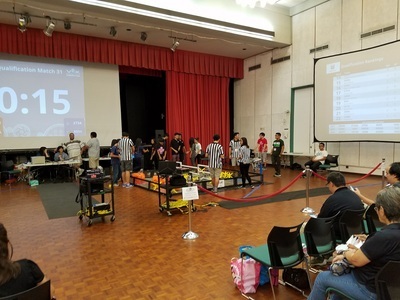 The VEX robotics competition was an event presented by the ECUH to support STEM in our communities and provide a friendly competition for the high schools in the area. VEX robotics is an opportunity for high school student to start learning about the design process in creating a robot that is able to complete certain tasks. 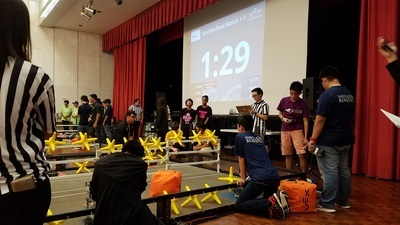 An example of the tasks is the robot picks up a block and moves it across the playing field to drop it over a wall. 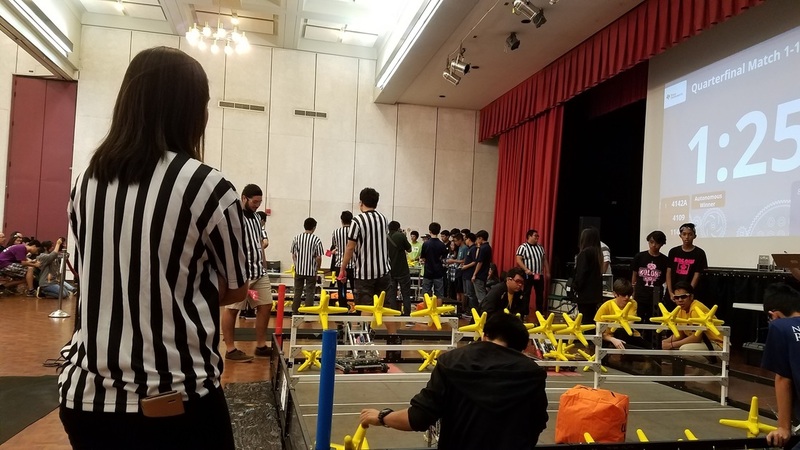 There were multiple stages set for the robotic teams to run their robots, a practice field, skills challenge area, and two main field where the teams would preform for the judges. The competition was comprised of volunteers from ECUH, HKN, and engineers from a couple other societies. 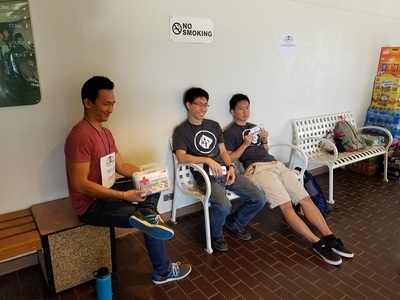 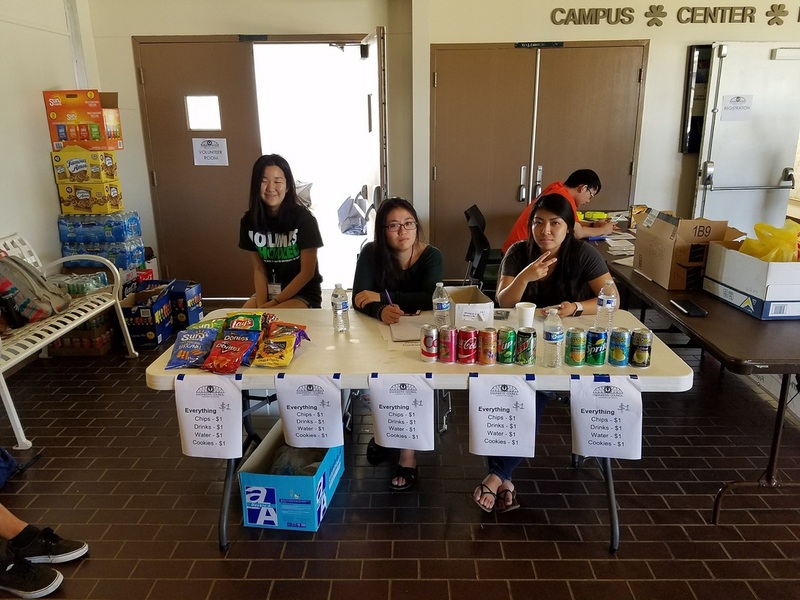 The volunteers from HKN did several different jobs including concessions, coordinators, and judges. 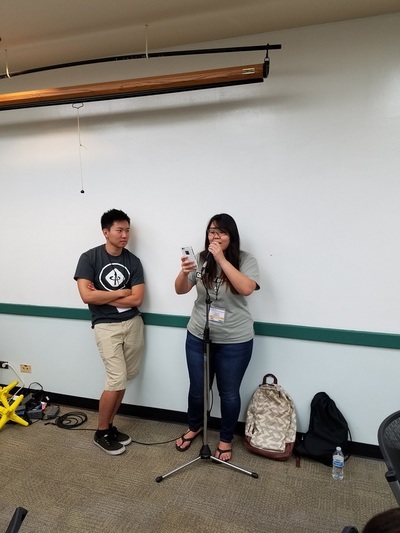 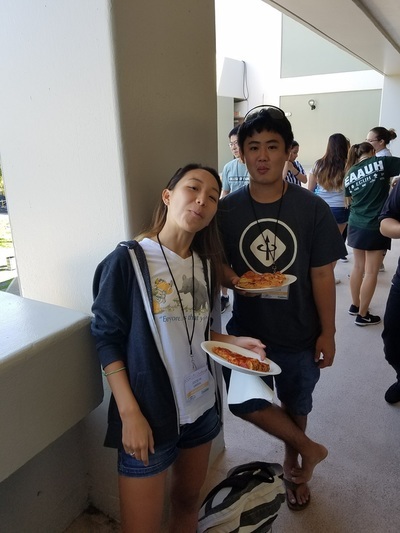 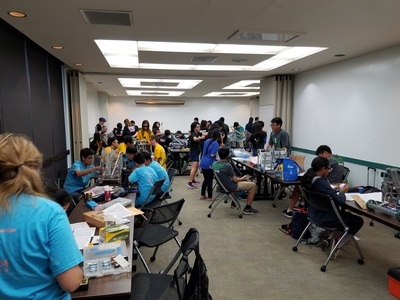 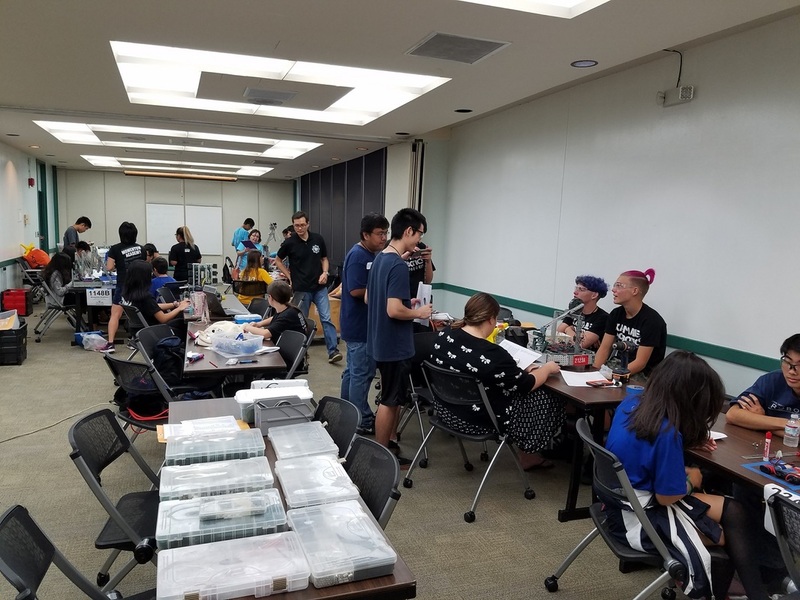 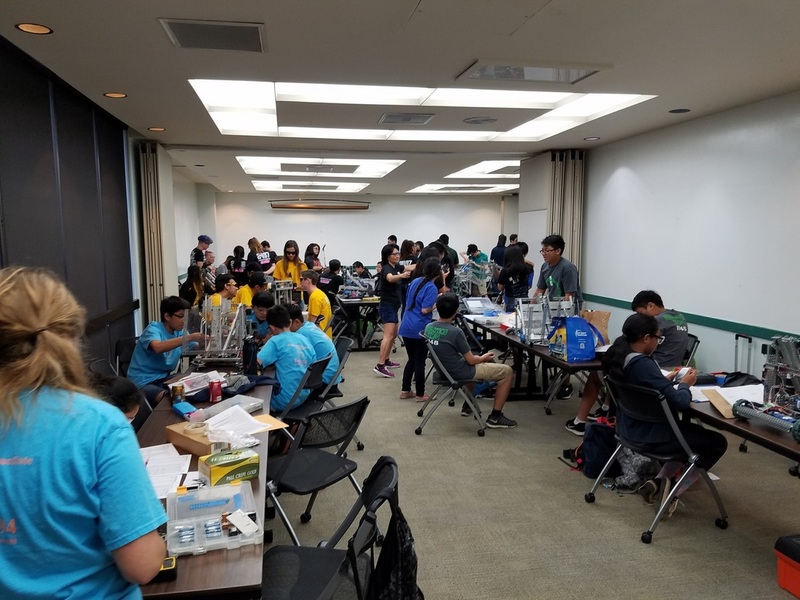 HKN had a large portion of the volunteers at the event and the ECUH board members said the competition was able to happen thanks to the amount of volunteers from HKN.